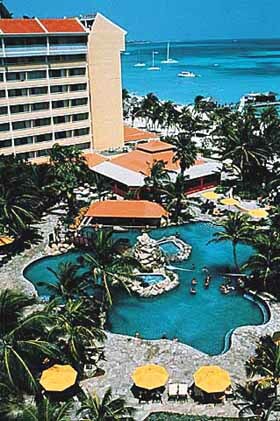 The Occidental Grand Aruba Resort has a Five Star rating and is located, two and a half hours from Miami, Florida, on the tropical island beach of Palm Beach, Aruba. The perfect destination for a romantic get-away, a snorkeling, diving and/or deep sea-fishing adventure, business conference or a family vacation with guaranteed activities to interest everyone of every age. Aruba has a varied international flavor with English, Spanish, Dutch and the native Papiamento all spoken on the island. The Occidental Grand has 417 newly refurbished luxury guest accommodations in a modern high-rise building located on the tropical pristine beach of Aruba - overlooking the Caribbean Ocean. All rooms feature private balconies with panoramic Caribbean views. 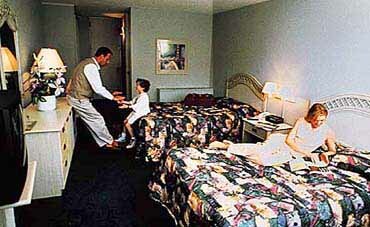 There are a variety of accommodations including: 144 Superior Rooms with the choice of two double or one king sized bed on the 2nd to 5th floors with garden views; 226 Deluxe Rooms with the same accommodations as the Superior Rooms except they have a pool and/or ocean view; the 12 Lanais are on the ground floor with terrace and pool view; 5 Junior Suites include king size bed, living room area with sofa, chairs, refrigerator and ocean and/or pool view; 14 One Bedroom Suites have ocean front views and a separate full living with with two sofas; and the Presidential Suite offers ocean front views with separate full living room with three sofas, a dining area for six people and a fully equipped kitchen. The accommodations include air conditioning with individual climate control, satellite television with remote, telephones, private balcony, clock radio, hair dryer and a safety deposit box. The on-site dining choices are varied and many. The main restaurant is the Topaz, featuring an international cuisine buffet. Caruso's offers Italian cuisine a la carte dining in an atmospheric setting. The perfect spot for a light a la care luncheon is the Tradewinds Snack Restaurant. For a special occasion the Caribbean Specialty dining would be at Papaya's. The Beach Hut Bar is located on the beach and offers refreshing natural fruit juices or the beverage of your choice. The Splash Bar is the perfect swim-up bar and the Jardins Brasilien features entertainment nightly. 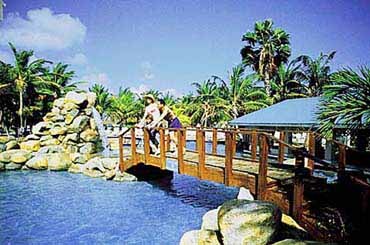 An on-site large free-form waterfall swimming pool, two lighted, hard-surfaced tennis courts, clinics for all featured sports, scuba lessons in the pool, Kid's Club supervised activities program, chaise lounge and towel service on the beach and at the pool, private horseback riding and tennis lessons, volleyball and all motorized and non-motorized water sports including kayaking, paddle boating, snorkeling, scuba diving trips, rental equipment and deep-sea fishing. On site services available also include a beauty and massage parlor, newsstand, boutiques and shops, an exchange bank, fax service, car rental, laundry service and state-of-the-art meeting facilities for up to 1,000 people. Copyright © 1997-2004 Analytical Software Packages, Inc.